Anyone in Frisco who is active will likely experience some bumps, bruises, and aches occasionally. However, when the discomfort is localized and doesn’t seem to be getting any better, there’s a chance a stress fracture is present. Since a stress fracture develops over time, it’s difficult for an individual to diagnose it themselves. There’s typically not a single event or time a person can pinpoint to know when the injury occurred, and most of the time it takes the expertise of an experienced doctor like Dr. Verville to diagnose it. Every stress fracture is unique, but Dr. Verville goes through a detailed process to make the proper diagnosis and treatment recommendations for her patients. The first thing Dr. Verville does with her patients in Frisco is talk with them to get an understanding of their physical activity levels, nutritional habits, when the discomfort was initially felt, their past medical history and more. 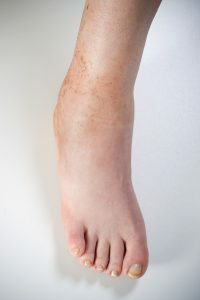 It’s important for patients to be honest, as it’s possible an underlying medical condition could be the cause of the stress fracture developing in the first place. Dr. Verville always wants to ensure the root of the problem is solved, so no further issues occur in the future. Most of the time a stress fracture is due to repetitive exercising or overworking a certain area of the body, but Dr. Verville will do a thorough analysis for confirmation before making a diagnosis. Dr. Verville may have to gently touch the area of discomfort in order to identify exactly where the issue is located. There are many different tests that need to be conducted as part of the physical examination, including putting more weight on the area. Patients in Frisco who have a stress fracture may not be able to put as much weight on the extremity with the most discomfort. Most of the time a physical examination of this nature can provide substantial evidence revealing a stress fracture is present, but this also needs to be confirmed with further imaging tests. X-rays aren’t always the best types of imaging tests for stress fractures since they don’t appear clearly at first. Other tests like an MRI, CT scan or an ultrasound can confirm a possible stress fracture. Dr. Verville may need to use a combination of diagnostic imaging tests to diagnose a stress fracture confidently. The reason is that many bone problems look very similar, so Dr. Verville will have to take all of the information and visuals into consideration before making the diagnosis. RNV Podiatry takes great pride in making the right diagnosis the first time, so patients in Frisco can get on the road to recovery more quickly. A stress fracture can be difficult to identify without a variety of tests and exams, and Dr. Verville will use all of her resources as necessary to make a proper diagnosis. And if she is able to confirm a stress fracture is present, she will give her patients a comprehensive treatment schedule to help recover quickly and safely. Dr. Verville is the best for diagnosing stress fractures, so contact us today at (214) 385-8822 for an evaluation if you’re experiencing any sort of discomfort in your lower extremities. « What Bones in the Foot Are Affected By a Stress Fracture?